Call 724-734-4012 to schedule your first appointment. If you want to improve your life by finding the right hearing aids in Greensburg, PA, Miracle-Ear® will be ready to help. When you visit our individually owned and operated location, you'll get to work with experienced hearing care specialists who can help you find the best match for your hearing needs. Fortunately, if you exhibit some of these symptoms, there is a very good chance that we can help. Our industry-leading advancements, including GENIUS™ Technology, include incredible features that may allow you to drastically improve your hearing in many types of situations. Customers using our hearing aids can hear natural sound in any direction and easily hold conversations with their friends and loved ones. When you come to Miracle-Ear for help with your hearing, you'll receive continuous care to ensure you're getting the full benefits that our technology has to offer. From the moment you get your first hearing test, we'll make sure your satisfaction is our top priority. You can come to us for additional testing, thorough hearing aid cleaning, ear inspections, and hearing aid adjustments to make your experience better. Miracle-Ear is a hearing aid center that's proud to service customers throughout Forbes Road, Hannastown, Pleasant Unity, Greensburg, and the surrounding areas. Miracle-Ear is America's most recognized brand of hearing aids because of our advanced technology and commitment to quality care. Please call our center today to discover and experience the Miracle-Ear® advantage. With our 30-day, risk-free trial**, you'll have an opportunity to improve your hearing. Your local Greensburg, PA Miracle-Ear business owner and staff have made a commitment to support the Miracle Ear Foundation. Established in 1990, the Miracle-Ear foundation was created to enhance the life experiences of families and individuals of limited means through the gift of sound. To date, the Miracle-Ear Foundation working with Miracle-Ear centers across the country has donated more than 6,500 hearing aids to over 4,100 individuals nationwide. Miracle-Ear of Greensburg, PA works together with the Miracle-Ear Foundation to provide underprivileged children and adults hearing instruments. For every hearing aid purchased in Greensburg, PA, a donation is made to the Miracle-Ear Foundation. We are proud to support better hearing in our community. 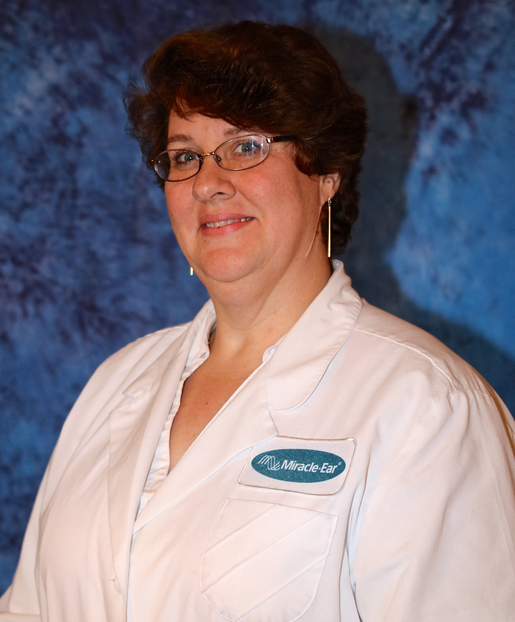 Patty brings years of experience to each consultation with her patients and she has both the expertise and experience to benefit each person she works with. And while experience is a vital part of her effectiveness, her ability to connect and develop a relationship with her patients is clearly an advantage in helping solve the complex needs of each individual. 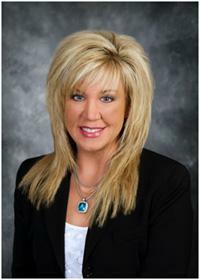 Patty is a Registered Hearing Instrument Specialist in the State of Pennsylvania and also holds her National Board Certification in Hearing Instrument Sciences. She has been through extensive training with Miracle-Ear, has received her Miracle-Ear Professional Certification, is trained in Live Speech Mapping, Real Ear Measurement, deep canal impressions, and is proficient with all audiometric equipment to service your needs. She enjoys being part of helping people enrich their lives thru better hearing. For Patty this position is not just a job - she truly makes every patient feel like a part of his family. Fred brings years of experience to each consultation with his patients and he has both the expertise and experience to benefit each person he works with. And while experience is a vital part of his effectiveness, his ability to connect and develop a relationship with his patients is clearly an advantage in helping solve the complex needs of each individual. 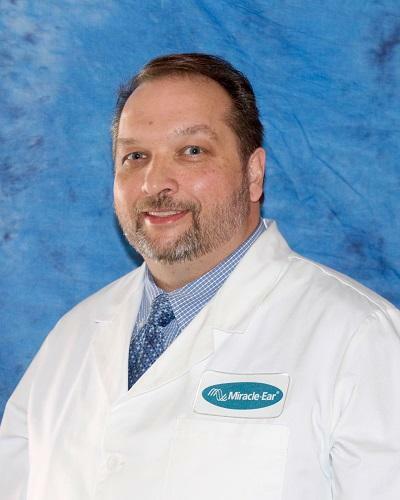 Fred is a Registered Hearing Instrument Specialist in the State of Pennsylvania and has been through extensive training with Miracle-Ear, has received his Miracle-Ear Professional Certification, is trained in Live Speech Mapping, Real Ear Measurement, deep canal impressions, and is proficient with all audiometric equipment to service your needs. He enjoys being part of helping people enrich their lives thru better hearing. For Fred this position is not just a job - he truly makes every patient feel like a part of his family.